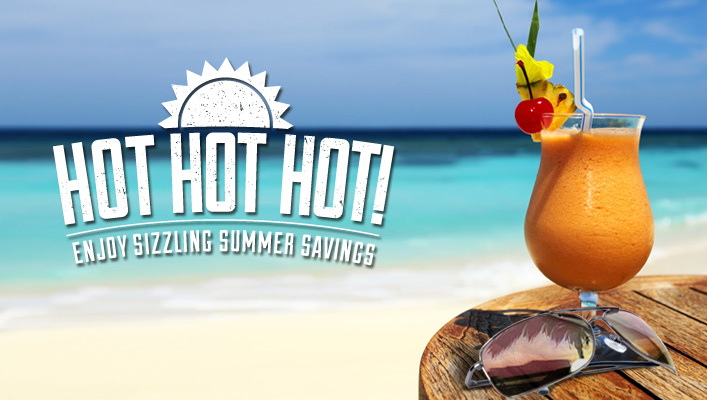 Sizzling Summer Savings are back with Hot Hot Hot! It’s officially summer and our Sizzling Summer Savings are back with exclusive savings for your summer travel from now until August 23rd! With our Hot Hot Hot promotion, when you reserve your stay at any Zoëtry Wellness & Spa Resorts, you will enjoy up to 30% savings. Plus, you’ll receive $200 or $400 in coupons, depending on which room category you reserve, to spend while you’re at our resorts! You have to hurry, though, because this offer only lasts until July 31st! Head on over to our Special Offers page to learn more about Hot Hot Hot! This entry was posted in Zoëtry Wellness & Spa Resorts and tagged Promotion, savings, Summer, Summer Travel. Bookmark the permalink.